Islanders website: Ryan Jankowski had blog updates today on team USA's 5-3 win over Finland with Kyle Okposo getting an assist/penalty/plus one & Rhett Rakhshani two shots and a plus one rating. Robin Figren had a goal and was plus two in Sweden's 4-2 win against the Czech Republic. Stefan Ridderwall was the backup for Sweden. 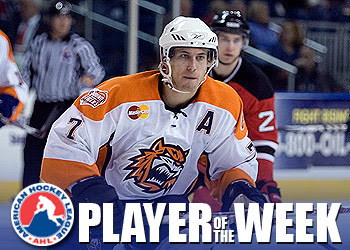 AHL.com & Islanders website & Ct Post: Michael Fornabaio's blog all report Jeff Tambellini won AHL player of the week with five goals, two assist in three games. Islanders website/AP: Has the early preview for tonight's game against Carolina Hurricanes. Carolina is one of those teams with the speed and skill that can bury the Islanders quickly if they are not on their game, but they are also the kind of team that makes a lot of mistakes. The recent record does not lie and that is they are as good or bad as the Islanders at times. If that does not do it highlights of that 8-3 loss should be plenty of motivation for Ted Nolan's team. From the Islanders side it's not going to be easy without DiPietro, Martinek and now Mike Sillinger but last game the only forward to score was Sean Bergenheim against a goaltender. Bill Guerin and Mike Comrie have to produce for this club as they have recently, Ruslan Fedotenko has to give this club some offense and Vasicek needs a big game returning to Carolina. Matt Cullen is not expected to play, Cam Ward after being pulled is expected back in goal for Peter Laviolette's team. Dubie I suspect will give the Islanders more than a chance to win, will the Islanders defense give Dubie any chance is the bigger question? Bergeron returned, had his one steady game with a play that led to a goal, can he do it again? I will have a recap on New Year's Day, will not be around for the game live tomorrow. Sound Tigers section has a lot of feeders to update their game tonight. WJC section has the live scoreboard to follow Team USA and Sweden's games on Monday as well as feeders to the Islanders website at the tournament. See everyone in the new year. Islanders website: Reported Sunday night that Rick DiPietro and Mike Sillinger did not make the trip to Carolina. "It's important that we give Mike Sillinger a game off to heal some injuries," Nolan "Fans don't know this, no one does, but Mike has been banged up for a while and has shown a lot of guts playing through it. By giving him the one game off on Monday, it will give him four days to get a little more healthy until our home game on Thursday." As for DiPietro, Nolan was consistent with what he said over the weekend. "We want Ricky at 100%," Nolan said. "He'll stay back and should be ready for Thursday against the Panthers. Why risk it for one game when he can get an extra few days of rest"? If the players need the time off and the extra days, the coach has to give it to them. Sillinger has looked worn down or playing hurt a lot recently. A lot of folks (myself included) at times tend to forget Sillinger has a lot of mileage on him and a lot is asked of him on this team because he's far more than a role player. Newsday: Katie Strang has comments from Ted Nolan and Rick DiPietro on why the club is giving him an extra game to recover with the coach also showing confidence in Wade Dubielewicz. An update on Radek Martinek is also given. "I'm not really a big fan of not playing," said DiPietro, who tried to make his case to Nolan. "You always try to talk a coach into letting you play, but at the end of the day, it always comes down to what the doctors say and the trainer, and everyone gets together to make a decision. "I think we got the old Wade back," Nolan said. "After two games, he should be even sharper than he was last game." Newsobserver.com: Covers Peter Laviolette's Hurricanes. Ct Post: Michael Fornabaio has a feature on Trevor Smith, who was recalled from Utah recently. Bridgeport plans to call up D Andy Sertich from Utah. "It was a great feeling to get the call up," Smith said. "All the hard work paid off. It's not going to stop now." WHERE — Broome County Veterans Memorial Arena, Binghamton, N.Y.
National Post: Had a summary from the Canadian based writers on a lot of NHL subjects. Only Chris Simon was brought up in terms of Islander content as to who will get the next big NHL suspension. Ct Post: Michael Fornabaio reported in his blog today the Islanders recalled Ben Walter. Andy Hilbert has been playing center, Walter plays center. NY Times: Dave Caldwell makes an extremely rare appearance for an Islander game and has comments from Andy Sutton on his fight, Ted Nolan on the crowd and Wade Dubielewicz/Brendan Witt/Bill Guerin on the shot blocking and physical play. “When leaders are willing to sacrifice their faces, it’s easy to get in step behind them,” Dubielewicz said. Newsday: Greg Logan's article has comments from Ted Nolan on how the Islanders will not be pushed around without Chris Simon, while Dubie talks about his win and Andy Sutton talks about his Gordie Howe hat-trick. "With teams seeing that Chris Simon's not in our lineup anymore, they come in and try to push us around," coach Ted Nolan said. "Those days are over. These guys have a lot of pride. A lot of guys stood up. I thought our team played a very gutsy performance." "It feels good," Dubielewicz said. "You want to validate yourself on the team. I don't play a whole lot, so when I do, you want the guys in the dressing room to believe in you." Newsday: Greg Logan's second article is on Miroslav Satan, who was not used on the point against the Devils and the Islanders pp struggles among several subjects. "On our power play, with one guy in the corner, nobody's helping him," Nolan said. "All of a sudden, there's a panic situation, he throws the puck behind, they intercept and go down two-on-one. You get the puck at neutral ice and try to make the cross-ice pass, and it gets intercepted. Those mental mistakes are really hurting us." Daily News: Peter Botte showed up and did a limited space article. Newark Star Ledger: Rich Chere has comments from Brent Sutter and Martin Brodeur on the loss with Al Arbour in attendance. "To battle back like that you have to get something out of the game," Sutter said. "But the last 10 minutes were a reflection of what the first 30 minutes were. Hey, we weren't good enough tonight. We had a lot of guys who were very average. Bergen Record: Also covers the Devils. Ottawa Citizen:Chris Yzerman has an article on the Islanders allowing Mike Sillinger to stay in Ottawa Friday to watch his son play in the Bell Cup Classic. Ct Post: Michael Fornabaio has the recap of Bridgeport's 2-0 win against Hartford Saturday night with Jeremy Colliton again producing on the pp. Howard Saffin comments on the release of Joe Rullier's release so Dustin Kohn can get into the lineup more. "We've been working good," Colliton said. "A lot of teams play an aggressive penalty kill. We're trying to move the puck as much as we can and make them back off." "When you play against a goaltender like Montoya, you've got to go to the paint. You've got to go to the net. (Colliton) was outstanding," Capuano said. Colliton has five goals and two assists but has been instrumental on the penalty kill and defensively. "I don't really measure my success through goals and assists," said Colliton. "I try to play a hard, physical game. ... If the team's winning, I usually am playing well." "We want to give the young players more of an opportunity," team president Howard Saffan said. "Rather than Dustin Kohn being a sixth/seventh defenseman, we'll bring him up a little more." Ct Post: Michael Fornabaio blogs on the Sound Tigers win and does a pregame blog on the Islanders at the WJC and the release of Joe Rullier. 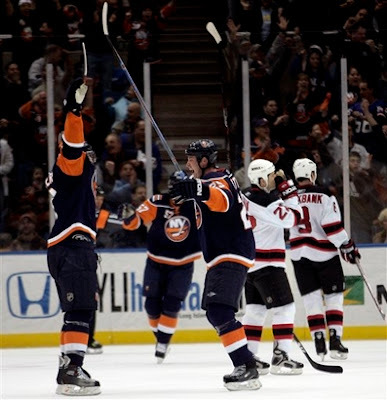 Islanders website: Has the recap of Saturday's 5-2 win against the Devils. "Nobody can push anyone around in this league," said Nolan regarding the fights. "These guys have a lot of pride. Sutton stood up. You might not want to see Comrie do it too often, but he also stood up, along with Guerin. I thought our team had a very gutsy performance." "Dubie is one of those guys that as he gets more playing time, the better he's going to get," said Nolan. "A win is certainly good for his confidence and the team knowing we can win with Dubie in net." Gutsy effort across the board tonight against a team that knows how to win that came into this game hot and decided to make it a physical which led to a lot of fights and some huge hits. Islanders showed a lot of character playing without DiPietro, Martinek and Witt for a good part of the first period when they kept taking penalties. I may not like Comrie, Guerin fighting but they held their own and did not back down. Dubie was outstanding and survived a lot of heavy goal mouth pressure from the Devils in the first and the third period with Gionta and Praise who are outstanding players. A few shots got the post or were missed but he made a lot of big saves. Despite the Islanders not finishing from the forwards this was not the typical game where the other goalie did not have to work. Brodeur made a lot of big saves on Satan's line and the Islanders worked for a lot of quality chances, especially in the third period. Guerin looked good with Comeau and Hilbert on a few shifts and a second period play where Comeau held the puck and fed a player coming off the bench for a shot was very impressive. What can I write about the Islander goals? Park, made the play of the night shorthanded to not clear the Devils zone but instead found Campoli, who rifled a bomb past Brodeur. Marc-Andre Bergeron's shot found the Devils defense for the second goal and the goal that turned the momentum and the game Hunter made a fantastic play to find Sutton who let go a great shot. The open-mouth look from Sillinger was very funny after the goal. Satan, Vasicek and Bergenheim finally were rewarded for their hard work and chances all night when Bergenheim showed nice hands and finished his chance for the 4-2 goal. Cannot remember the last Islander en goal. Huge win against a hot team on a day every team in the division won, it's December and the phrase big win or lose get's overused over eight two games but the Islanders had to have this game. And they showed a lot of character hanging in with a physical Devils team after they tied the game. Fair to say at this point based on the season the Islanders can compete with the other clubs in this division. If they can only keep the scoring up and do something with the powerplay. Gordie Howe hat-trick for Sutton. Islanders website: Has the pregame for tonight's game against the Devils. ITV.com: Showed practice with DiPietro participating and is a game time decision. Ruslan Fedotenko participated in the full practice. Radek Martinek did not skate and was described as week to week now by Chris King and Steve Mears. Aaron Johnson was out skating before the team practiced with the three goaltenders in full equipment. Media Blog: Cory Witt reports Ruslan Fedotenko will play while Rick DiPietro will be a game time decision. Aaron Johnson continues to skate at practice. Martin Brodeur will start for New Jersey. Islanders are playing a team red hot that has finally settled into it's game and as usual proved all the critics wrong who could not wait to bury them. Brodeur is dominating and the Devils lead the Atlantic and come off of a 2-1 shootout win against Buffalo yesterday. From the Islanders side of things whoever starts in goal has to give the team a chance to win and the offense has to break through with some quality chances and goals. No word if Bergeron get's back into the lineup. The other night was expensive in the standings, Islanders need to turn that around and get a win here and it's fair to write at this point New Jersey is opening up the kind of distance that is going to be very tough for the Islandes to catch them if they lose tonight. Guerin and Comrie have not only scored but have shown some confidence in their offensive games. That has to continue for the long term. Newsday: Greg Logan updated his blog at 4:10pm and reported Rick DiPietro did not comment and it's a game time decision but it's possible the Islanders might be leaning toward caution and give Wade Dubielewicz the start tonight because Joey MacDonald is still here. The blog also reports Ted Nolan had a talk with Bryan Berard which could mean Marc-Andre Bergeron returns to the lineup. Slovakia lost 5-2 to the Czech Republic Saturday. Thomas Marcinko missed a penalty shot, had two shots on goal and was a minus two. Check back later for an update on Canada-Sweden & USA-Russia. The team USA webcast link is available to listen to the game live. Usahockey.com:Cameron Eickmeyer has an article on the chemistry the line of Kyle Okposo, Rhett Rakhshani and his Denver teammate Tyler Ruegsegger have shown going back to the summer at team USA's camp. "If we stick to our systems and dictate play then that's when the offense comes," Okposo said. "Even you don't see where they are, you know where they are," Rakhshani said. Kyle Okposo and Rhett Rakhshani each had an assist in the team USA 3-2 win over Russia. where Sweden scored in the last seven seconds of regulation after Canada tied the game with four minutes left. Stefan Ridderwall was the backup goaltender for this game. Newsday: Greg Logan's article is basically a repeat of the comments made on ITV by Ted Nolan on DiPietro. Only new information here is Ruslan Fedtonko lost a fingernail on the hit to his hand against Ottawa. Newsday: Greg Logan's blog at 10pm has details on Okposo's contract which was a three-year entry-level contract worth $2.55 million which would double if he were to meet all the performance bonuses. Because Okposo signed before Jan. 1, if he plays nine NHL games or less this season next season will be considered his first year. If he plays ten games, then this season will be considered the first year of his contract. AHL.com: Report the Sound Tigers lost 4-2 at home against Providence Friday, Jeff Tambellini scored both Bridgeport goals. Ct Post: Michael Fornabaio's game article is centered around the eight overall penalties which forced the Sound Tigers to play a large portion of the game shorthanded. Providence only had one pp goal but scored shorthanded. "We didn't come out ready to play," coach Jack Capuano said. "That's a good hockey team. We prepared like we prepare for any other game. They showed why they're in first place, with their speed." We've got to stay positive. We've been playing well," Capuano said. "We showed how we can play in the third period." Ct Post: Michael Fornabaio also blogged on the loss with comments from Captain Mark Wotton. Providence Journal: Has an uncredited article on the Providence Bruins win. Usa Today.com: Kevin Allen at the WJC has a few words on Kyle Okposo from team USA coach John Hynes. "And Kyle Okposo (New York Islanders) is doing the same. They are both playing very strong, solid games. They are talented players, but their work ethic and leadership have been really important to our team." AP: Newsday at 8:02pm finally got around to posting an AP update on Kyle Okposo signing after most of the media outlet's reported it. Greg Logan/no one on the Newsday sports staff even blogged about it as of this time or found Okposo's agent, Neil Sheehy for a quote. This is a paper that sent Katie Strang and Steve Zipay to Nassau Coliseum for comments from Wayne Gretzky recently and of course has Steve Zipay providing Ranger centric Sunday coverage. Steve Zipay of course had a quick blog on Ranger practice today and their transactions. Islanders sign their franchise prospect-? Michael Fornabaio reported the signing in his blog and linked to it this afternoon, where was Newsday's sports department with the hype for this announced signing? Satan will go back down to his forward spot on the powerplay which Ted Nolan said would be changed again. DiPietro rested and based on the morning skate will be a game time decision tomorrow but still has to be cleared to play. He used the treadmill and was reportedly walking without any problems but there was swelling of his knee. Ruslan Fedotenko and Radek Martinek did not practice, Ted Nolan expects Fedotenko will play tomorrow. Andy Sutton was not at practice due to being sore or banged up which could be a day off or an injury, that was not discussed in Ted Nolan's interview but by Steve Mears and Chris King who covered the practice. Mike Sillinger stayed in Ottawa for a family event. A Dubielewicz assigment to Bridgeport could be coming to get him some work. Robert Nilsson did this playing for Bridgeport a few years ago. This one may have topped it. First a little background to dispel any myth this is a minor league goaltender who is over his head. As a Sound Tiger, Dubielewicz has claimed numerous records for shutouts (15), saves in a game (52) and highest save percentage in a season (.946), which is also an AHL record. His numbers throughout the 2006-07 season were once again stellar posting a 22-12-5 record with a .922 save percentage and 2.69 goals against average. Those numbers earned him a spot on the Canadian All-Star roster. Named to National Collegiate Athletic Association (West) All-American Second Team, 2001-02. Named to Western Collegiate Hockey Association All-Star First Team, 2001-02. Finalist, Hobey Baker Memorial Award, 2001-02. Named American Hockey League Rookie of the Month, December 2003. Named to American Hockey League All-Rookie Team, 2003-04. Named to American Hockey League All-Star Second Team, 2003-04. Shared (with Dieter Kochan) Harry "Hap" Holmes Memorial Trophy (AHL - Fewest goals against), 2003-04. Winner, Dudley "Red" Garrett Memorial Trophy (AHL - Rookie of the Year), 2003-04. Selected to Canadian All-Stars (AHL), January 29, 2007. Just because our media does a brutal job letting us know the background of players does not mean you have to buy into it when they make judgements. It's up to you in the end but keep in mind some of these media people barely follow the Islanders much less their prospects are the ones who create perceptions about players. I followed Dubie as a prospect writer and several NHL teams wanted to sign him when he was at Denver. This is a two time all star AHL goaltender who set all time league records as a rookie for Bridgeport. His last AHL playoff series against WBS he did everything but steal the series from the first seed that year. Some of these games he flat out stole for Bridgeport while WBS kept changing between Marc-Andre Fleury and Danny Sabourin. when he won a huge game in Philadelphia. If Rick DiPietro cannot go for a while there is no rush to bring him back. Dubie will give the Islanders every reasonable chance to win hockey games. Islanders website: Report today they have signed Kyle Okposo to a three year contract. ITV.com: Has a brief statement from general manager Garth Snow on the signing. Islanders website: Chris Botta explains the circumstances of the signing and makes clear no decisuion as to whether Okposo will play in New York or Bridgeport has been reached at this time. Whether it was now or in the summer this was going to happen eventually. Hopefully everyone connected with him will congratulate him and wish him the best of luck. Seems like he signed a standard contract based on the max a player can get. From the Islanders side of things they really do not have a spot for him unless a trade happens or he plays in Bridgeport for a while. Ct Post: Micheal Fornabaio confirmed the signing and reminded Sound Tiger fans to hold onto their tickets for January 9th, just in case Okposo does play for Bridgeport. Newsday: Greg Logan's article has comments on the breakdowns and mistakes that led to Ottawa's goals. Ted Nolan comments on a powerplay that keeps allowing goals, Brendan Witt, Wade Dubielewicz and Bill Guerin comment talk about the loss. "It was a tough break to take a penalty when we already had one," Dubielewicz said. "A tough team like that with a five-on-three, they're going to bury it. From that point, I felt we were kind of on our heels. The five-on-three pretty much killed us. 'Hunts' makes a strong play and the guy falls down. It's a bad break." "The game turned in the first two minutes of the second period," Guerin said. Referring to Spezza, Heatley and Alfredsson, he added, "They've got the best line in hockey. They dominate at five-on-five, never mind five-on-three. We put ourselves in penalty trouble, and it made a big difference. There's not much one guy can do when he's being thrown to the wolves." "We didn't play an intelligent game," defenseman Brendan Witt said. "When we beat them at home, we were disciplined. But we exposed ourselves tonight and they took it to us. They scored three of five goals off the rush. Dubie's a good goalie. It seems like when he's in, we really expose ourselves instead of just playing with confidence. But he proved last year he's an NHL goalie." Newsday: Greg Logan got comments from Chris Botta on Rick DiPietro's injury status, Ted Nolan comments on Radek Martinek now point to his day to day injury lasting a few weeks as he is in a walking cast. Shawn Bates season ending hip surgery and Dubie speaking to Ted Nolan about a Bridgeport conditioning stint before DiPietro was injured. Team spokesman Chris Botta said there's a chance DiPietro might return to the lineup as soon as Saturday night against the Devils at Nassau Coliseum. "We're very convinced he's OK," Botta said. Asked about Martinek's condition, Nolan said, "Last time I checked, it wasn't a serious injury. But it's enough to at least be two weeks." Newsday: Greg Logan's pregame blog points to a lot of instances where the Islanders have not been up front with regard to injuries and expands a lot more on his second article. Ottawa Citizen & Ottawa Sun: Have the Senators coverage on their win. Ct Post: Michael Fornabaio's article is on the return of Jason Pitton from Utah who still is recovering from a shoulder injury and has to be checked out by the Islanders team doctors before returning to game action. "I was able to go down and play a whole lot," Pitton said. "They roll three lines and an extra, so I got a lot of ice time. It was an experience I hadn't had before. I worked on my game. I worked on my skills." WCF Courier: Jim Nelson has a feature on Islander draft pick Blake Kessel. Islanders website: Has the recap of tonight's 5-2 loss to the Ottawa Senators. "We can't afford penalty trouble and missed assignments," said head coach Ted Nolan. "Our special teams weren't very good. I thought we played well in the first but then we took too many penalties. Giving up so many shorthanded goals is a concern. We keep doing the same thing over and over again. We can't do that again. It's one thing if our power play is not scoring, but giving up a shorthanded goal is another." Dubielewicz was outstanding and gave the Islanders the kind of goaltending that was good enough to win most nights. He should have sued for lack of support in the end. This powerplay from the point is a nightmare. It's to the point Berard is almost unplayable which really was the play that decided the hockey game. You could see the shorthanded goal coming and clearly so did the Senators who read Berard's pass and got behind him. Islanders could not even clear the rebound after Dubie made his save or the shot hit the post. All due respect to the Ottawa but when you give up five quality chances and a goal against with your powerplay combined with being pushed into a bad penalty like Bergenheim's at the end of the first period, you do not deserve to win. Ottawa skated well but for the most part the Islanders stayed with them or kept the chances to the side, I don't know where Howie Rose or Billy Jaffe were calling the game from but the first period was not that one-sided in terms of quality chances. Gervais stepped up and when he did not score Ottawa had a great three on one counter that Dubie bailed them out of. Vasicek did not finish his chance. Campoli got a penalty for charging Gerber late. Ottawa did not create one goal that was not off a big Islander mistake or change outside of the high stick goal. You almost get the impression Howie Rose expected the five on three goal when he brought up the Sens did not have one all season. The 2-0 goal was off a bad line change at the end of that powerplay, the 3-0 goal was a Berard disaster where Ottawa almost scored before that, the fourth goal was a lucky high stick batted in and the fifth goal Freddy Meyer and Sutton fell asleep. No excuse for such poor plays and decision making which killed any momentum after Guerin made it 3-1 and then almost made it 3-2. Islanders had some jump on offense and skated well enough, but they could not draw any powerplays or get any second shots. Self inflicted all the way and a very expensive night in the standings. Guerin's shot seems to be coming around, that last shot was his best one of the season. Add Fedotenko with a hand injury to the day to day injury list. The way Tambellini is producing he's earned another callup. I love Comeau's game, who should be getting more ice time, he threw a hit in the first that rocked a Senator player. Islanders website: Has the preview of tonight's game against the Ottawa Senators which reports Wade Dubielewicz will start. Ottawa is coming off a five goal win against Buffalo and are not the club that was struggling when they last played the Isles. Regardless of who plays in goal Islanders have to keep scoring and keep getting points. Dubie will be fine if he get's any kind of help at all in front of him but Ottawa is a tough task for any club because they can score in bunches and have the kind of speed and skill the Islanders simply do not have. No idea what Martinek's status is for this game. I would guess the same lineup again with Berard. Bergenheim, Sillinger and especially Fedotenko are all overdue to give the club some scoring support. Ottawa Citizen: James Gordon has comments from coach John Paddock and Jason Spezza about the Islanders, while reporting Martin Gerber will start tonight. "They're a team that, they continually don't get viewed upon with a lot of positives a lot of the times, but they keep finding ways to be in hockey games," Paddock said following the morning skate today. "They lose their goaltender last night ater the first period and they still find away to win. "They did that last year...throughout the stretch run," he added. "They continue to find ways and it's a credit to their group of guys there and it's a credit to (Islanders coach Ted Nolan." "There's a lot of good NHL goalies out there," he said. "I'm sure Dubielewicz is looking for an opportunity to show himself, but Ricky is one of the best when he's playing well, he played great against us the last time we played them in their building, and he's definitely one of the top goaltenders." Newsday: Greg Logan's has Ted Nolan's comments on the Islanders win and Rick DiPietro, who will not travel to Ottawa and undergo an MRI Thursday. Joey MacDonald has been recalled from the Sound Tigers. Wade Dubielewicz comments on his infrequent play and credits his defense, especially Brendan Witt. Richard Park talks about the game winning play and praises Jason Blake. "I twisted it funny in warm-ups," DiPietro said on his way out of the arena, declining further comment. "We don't think it's serious," coach Ted Nolan said. "DiPietro pulled himself. Give him full marks for attempting to try it." "I noticed Ricky tweaked something in warm-ups," Dubielewicz said. "I stay on high alert. I saw him go down once in the first period and wince, and I knew I was going in." "Blakey is a heck of a hockey player, and he was just trying to make something happen, Park said. "It's not about knowing him ... It's just instinct out there. I didn't even know we had 10 seconds left. To win those kinds of games is good for our hockey team right now." Did Greg Logan actually watch this game? How was Rick DiPietro shaky on a perfect two on one goal and two players alone in front of him How about some credit for an assist? No comments from Mike Comrie, who had two goals and the game winning goal, nothing from Gervais on his game or Guerin, Hilbert with big goals? Newsday: Greg Logan's second article was about the Islanders tough upcoming schedule for the most part while noting Radek Martinek is day to day with a bruised right leg. Newsday: Mark Herrmann of course shows up to make sure the booing and indifference about Jason Blake is what the Islander fan and his time here were all about after making sure we read his mantra about Eddie Giaconmin and Mark Messier returns to New York. Ted Nolan praised Blake and of course Mr Herrmann makes sure we know about the club's financial losses even though both teams spend near the cap and the Islanders made big offers to other players this summer because that's what Greg Logan reported. "This was my home for 6½ years. I had the time of my life." "At least they did something," Blake said after the game. "It's just a game. It's nice to be back, even though you get booed a little." It's sad but many Islander fans do not get it about a player like Jason Blake with such a young fanbase these days, but the players stories are not told in Newsday which is why the fans do not connect with them or feel any real loyalty beyond the sweater they wear. That's why Kenny Jonsson who was here forever left as if it he meant nothing to the fans or we go months in between articles on Radek Martinek. It's just a job for Newsday and they make it just a job telling the players story which is too bad because Jason Blake loved being a New York Islander. Not enough people knew that going into tonight which is where the media failed Blake and the fans. Of course when Blake complained about his contract negotiations last year, Newsday was front and center which helped turn the fans against him. After his hat-trick against Philadelphia at the trade deadline passed he told the fans he wanted to stay here, but it was not a big story for Newsday. Where was Newsday when he showed up for game two against Tampa in the 03-04 playoffs with an injury that was supposed to keep him out for a month and won the game with two goals? We sure heard from Newsday when Blake got into it with Steve Stirling, however. I felt bad for Jason Blake, he deserved a long-loud ovation from the fans because he gave this club all he had and more. When it comes to marketing players in the local media, folks like Mr Herrmann are not interested in the New York Islanders, this is the end result. NY Post:Brett Cyrgalis throws together a limited space article that opens by talking about the Islanders scoring problems even though they have been better in that deparrment lately with a few words from Dubielewicz, Nolan and Comrie. Brett Cyrgalis is the person the Post assigns up for occasional off-day Ranger coverage so of course what we get here is information that's Ranger background centric in some manner. Daily News: Jesse Spector is the latest newbie assigned to cover the Islanders this year, who in his limited space has comments from Ted Nolan about Rick DiPietro and a few words from Wade Dubielewicz. "If a couple of pucks would have gone past Witt, they would have gone in if they didn't hit me," Dubielewicz said. "You've got to give that guy credit - he's a warrior. ... I don't know what his quote is, it's something like: 'Pain lets you know you're alive.' He's crazy, man, but he does his job really well." Toronto Sun & Globe & Mail : Has the Maple Leaf centric coverage with a few words on Jason Blake. "We've only got so many seconds left in overtime," he said of his extended bout of stick-handling. "I was trying to make a play. [Park] made a great play by poke-checking it." "He turned the puck over an awful lot tonight," Maurice said. "You can't turn it over there at any point in a game." Ct Post: Michael Fornabaio has reaction on the Sound Tigers 5-4 win against Hershey from Sean Bentivoglio, Frans Nielsen and Jack Capuano. Ct Post: Michael Fornabaio's notebook reports ECHL All-Star, Trevor Smith has been reassigned to Bridgeport along with Jason Pitton. Keith Johnson and Olivier Labelle were sent down to Utah. "Smitty's back for good," Sound Tigers president Howard Saffan said. "Smitty achieved down in the ECHL just as we thought he would. He was a unanimous choice for the ECHL All-Star Game. He earned his stripes. He deserves to be here." "You'll see him on the power play," Saffan said, adding Smith will probably play on the second line. "Pitts has been playing outstanding at Utah," Saffan said. "Again, like Smitty, he's earned his stripes. He's deserving of coming back." Ct Post: Michael Fornabaio also has the Sound Tigers weekly with the upcoming games and notes around the team and the league. Usual excellent work from the Ct Post beatwriter. York Daily Record & Patriot News: Has Bears coverage. Rick DiPietro left the game following the first period with a knee injury and will be re-evaluated tomorrow. 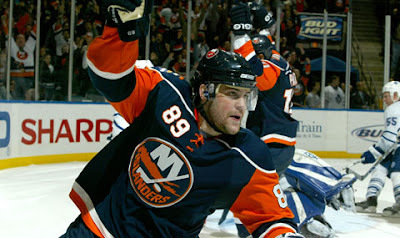 Islanders website: Has the recap of tonight's 4-3 overtime win against the Toronto Maple Leafs. "We said in between the first and second periods that you never know what's going to happen," said head coach Ted Nolan. "You have to give Wade a lot of credit. He's been working hard in practice. When you're called upon you have to be ready and he was certainly ready tonight." "When Richard forced the play like that, I saw a 2-on-1 develop," said Comrie about Park's poke-check on Blake. "It happens pretty fast. Once you see the defenseman play it well, you have to go to the net hard. Park made a great play to get the shot through. The rebound was just sitting it there for me and it just trickled by Raycroft." That was a lot of fun tonight, good pace by both clubs, three first period goals by the Islanders and an incredible finish where Jason Blake was stripped by Park who's deflected shot left a big rebound for Mike Comrie to finish in the final seconds of overtime. Between the chant after the goals lately and booing Jason Blake it was a poor showing by some of the Islander fans tonight, even if the overall building was very loud and supportive. That first period looked like how it was supposed to be drawn up this summer in terms of the offense. Comrie and Guerin producing as a first line and the secondary scoring chipping in. That's four goals for Andy Hilbert in seven games, backboard bounce or not and it easily could have been four or five. Of course it was against a terrible defense and goaltender but that does not take away from the Islanders, who came out and had a good offensive first period. Dubie was great when he had to be. That overtime sequence he was fantastic, even with a little luck on Sundin's crossbar. Toronto had some good pressure on him, too bad Sillinger did not finish his chance in the final seconds of regulation. I did not see Richard Park's ot penalty, but who are the officials kidding not calling Bell for hooking Campoli with an open net in overtime? Sloppy first period of both sides defensively, Toronto did not get much against DiPietro but he had no help on either goal against. Without his pass to set up Comrie's first goal Islanders do not get to overtime so his starting did help the Islanders win. one even mentioned Berard's return on the telecast until he touched the puck. Another shorthanded goal against is becoming a problem. More tomorrow on the game. We'll see what the fallout of DiPietro's injury is and Radek Martinek. Point Blank: Chris Botta has a classy blog about what keeps him going as the organization celebrated his 20th anniversary with the franchise and pointed to tonight's game. Newsday: Greg Logan had a blog during the game on DiPietro's injury with no updated news. He also had a few words on Jason Blake, Richard Park's goal Saturday and a few other items on the upcoming schedule along with a few words on team USA's win on Wednesday. Ct Post: Michael Fornabaio blogs on the Sound Tigers win. Mike Mole was called up to replace Joey MacDonald. Sound Tigers website: Reports on Bridgeport's 5-4 win at home Wednesday. Jeff Tambellini had two goals and a four point night, Sean Bentivoglio returned to the lineup with two third peirod goals and Frans Nielsen scored. Islanders Website/AP: Has the early preview of tonight's game against the Maple Leafs. Hopefully the fans stand up and give Jason Blake a well deserved standing ovation for all he did for this franchise. Islanders miss his abilities badly because he was of more value to this franchise than any other he could play for. As for the game Islanders better remember that 8-1 game, come out from the opening minute and try to score against a club that gives up goals if you put on the pressure. Toronto is one of those clubs that can win a 6-5 game so if the Islanders play for a 3-2 game they may not get it. Scoring has been a little better lately. I expect no lineup changes because Ted Nolan does not make changes after wins, but we'll see because Islanders play in Ottawa tomorrow. Andrew Raycroft get's the start for the Leafs tonight. Sound Tigers are at home tonight against Hershey. Newsday: Greg Logan has an article on Jason Blake's return to New York which is mostly backround with some quotes from earlier this season. Mississauga News:Gerry Timbers reports Islander prospect Luch Aquino leads the IHL in scoring with 15 goals and 32 points in 25 games for the Fort Wayne Komets. Toronto Sun: Mike Zeisberger has a few words from Jason Blake after the writer makes sure to put down the Coliseum atmosphere where he also gives his side of contract negotiations last year. "It should be fun but I hope they don't boo," he admitted. "That would be tough." "I didn't want to leave, and I didn't want them to trade me," he said. "That was the point I was trying to make but it was portrayed the wrong way in some circles." "It was a difficult place to leave," he said. "The organization was great. The owner and management were good to me. "I haven't thought about being back too much but people have been talking about it alot. It should be exciting." "I don't think you can just look at the team in these circumstances; you've got to look at the player and the totality of the circumstances." For those keeping scoring at home George Gwozdecky is the head coach of the Denver Pioneers. In others words he's Islander prospect Rhett Rakhshani's coach and basically Mr Gwozdecky sent him own little message here to not even think about signing Rakhshani. I wonder why Bruce Brothers did not put that in his article as if he was trying to make Mr Gwozdecky here seem like he has no stake in this. Pioneer Press: Bruce Brothers has more from Garth Snow on Kyle Okposo who did not comment on negotiations but did say the club has a plan for Okposo. "I've gotten to know him; he's a special player, and more than anything he's a special person," the general manager of the New York Islanders said by phone from Long Island. Someone has to help me with this one. Why would Bruce Brothers make issue of Okposo possiblity geting getting hurt at the WJC as any kind of difference whether he was returning to Minnesota or signing with the Islanders? Ottawa Sun: Bruce Garrioch reports Doug Weight wanted to be traded to the Islanders as opposed to Anaheim to be with his friend Bill Guerin but the Isles only offered a draft pick. Neither Weight's agent Steve Bartlett nor Blues president John Davidson would comment. Bruce Garroich puts about fifty rumors into one article, usually with no quotes so do not put a lot of stock in this. St Louis and Weight's agent have no comment. We will find out of it's true come summer time if Guerin is still here and Weight is an unrestricted free agent. South Bend Tribune: Steve Wozniak has a feature on former Islander assistant Jeff Jackson who is the head coach at Notre Dame. Point Blank: Chris Botta checked in Christmas Day with a blog on Jason Blake and what he's meant to the New York Islanders as he makes his return Wednesday. NYI Fan Central WJC Section has been updated and moved to the top of the blog for those wishing the follow the games and the running blog set up by the club to cover the Islander prospects. All articles on the players and special features will be part of the daily updates here until the end of the tournament. Islanders Website: Assistant GM Ryan Jankowski checks in on his way to the Czech Republic in a blog that will run throught the tournament. Kyle Okposo, Rhett Rahkshani, Stefan Ridderwall, Thomas Marcinko, Robin Figren, are the Islander prospects participating. Good will toward men ! New York Islander Fan Central will be back Wednesday Morning. Newsday: Erik Boland covered tonight's win with comments from Richard Park on his goal and Ted Nolan on the club's effort. 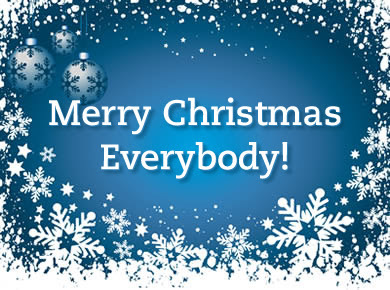 "This gives us a great feeling going into the holiday. It will make the food and everything taste better," said Park, who scored his sixth goal of the season. "The last two games have been good for us. A different guy has stepped up for us." "I think Richard Park's been our most underrated player the past couple of years," coach Ted Nolan said. "He does everything." Newsday: Erik Boland's other article is about how the veterans have helped Blake Comeau with a few words on Kyle Okposo and if they could become Islander teammates? "They've been great with me since I've been here," Comeau said before last night's game. "Coming up here, you're a little nervous, but they all told me, don't panic with the puck, make plays and when I get the chance, shoot the puck." "I'm not sure what's happening in that situation, but all I know is I've seen Kyle play at minicamps and he's a great player," Comeau said of possibly playing with Okposo. Daily News: Peter Botte's limited space game report is on Richard Park's overtime goal with quotes from Park and Miroslav Satan and Ted Nolan. Also reported is Kyle Okposo will be sent to Bridgeport (no quotes) and Shawn Bates will have season ending surgery on his hip. "We knew going in we didn't have the firepower to blow anybody out 6-1...but we're getting back to the way we need to play," Ted Nolan said. "We've been falling, so to get these four points (this weekend) is huge," said Miroslav Satan, who also scored to extend his point-scoring streak to six games. "All of a sudden, the picture looks a little brighter." John Dellapina has a three page article on Drury/Gomez and a full game preview for today as well as a blog and games for the week updated. NY Post: Jay Greenberg makes a rare Coliseum appearance so Dan Martin could be the second or third Knicks writer and does a good job in his short space letting the fans know the Islanders have problems scoring. Of course if this were a Ranger game he would be selling Lundqvist's goaltending as the story but nothing from DiPietro. NY Post: Larry Brooks does a little stomping of his own on former Ranger Chris Simon. Washington Times: Corey Masisak has the game coverage and comments from coach Bruce Boudreau on the Islanders back when they were a dynasty. "They were so darn quick and so good. You didn't realize how good those guys were until you were actually playing against them and getting beaten 7-1 — which happened a lot." Washington Post: Free subscription only. Newsday: Mark Herrmann has a mostly Islander-centric feature on Mike Bossy and TV star Kevin Connolly going shopping with the United Way. will receive about $20 million from Cablevision this year. Of course Mr Best makes it mostly negative about the club's losses and questions if the teams is worth the value they get each season and if they would still have a franchise without this contract before making sure to get in a Christmas plug for the Garden. Islanders seemed to do well enough financially as soon as Roy Boe sold the club to John Pickett. Newsday: Steve Zipay's Sunday Newsday feature in the Islanders only full time paper is on...............Henrik Lundqvist. SoundTigers.com: Has the recap of Manchester's 5-1 win at Harbor Yard Saturday. Ct Post: Michael Fornabaio's game coverage on the loss with Captain Mark Wotton's comments as Bridgeport fails to get back to five hundred with Drew Fata, Jack Capuano and Joey MacDonald. His blog here has more on the loss. "We were a little sleepy-sleepy the first seven or eight minutes," coach Jack Capuano said. "We were outstanding the rest of the game." Ct Post: Michael Fornabaio has a great feature on Dustin Kohn staying with a Westport family which is an idea Howard Saffin credits Bill Torrey for going back to the days of when Bryan Trottier stayed with a local family. Union Leader: Covers the Manchester Monarchs. QMJHL: Karl Jahnke has an article with former Islander assistant coach Danny Flynn who's coaching the Moncton Wildcats, where he also worked for Ted Nolan as an assistant where they won the league championship. "Working in New York was a great experience; the players were very good to me. But the opportunity to put my stamp on the team in Moncton was something I couldn’t pass up. I’ve been coaching 20 years in junior and college hockey, and it’s something I’ve always wanted to do. I’m excited to be back and I want to build a championship calibre team." Islanders website: Has the recap of the Islanders 3-2 overtime win Saturday against Washington with comments from Ted Nolan and Bill Guerin. "Tonight Billy found a way and got us a big goal," said head coach Ted Nolan. Billy is a big addition to this team. You look at Richard, who has been one of our best forwards the last two years. He wins faceoffs, plays on the power play and penalty kill. He adds great value to this team." Added Guerin: "Faceoffs are so important in this game," said Guerin, who scored following a faceoff win by Mike Comrie. "When you win those draws you have the puck more and create more opportunities. Those were two key faceoff wins." Last two days have been huge. not classic wins but games the Islanders had to have two points. Two games over five hundred vs two games under five hundred is a lot of ground to make up in this league. Hopefully the wins gives this team the confidence they will need moving forward. A lot like the first Coliseum game against Washington, except this time Guerin found the net late. Seemed like the earlier season formula to stay in games kept the Islanders in this one and it paid off. Washington had very little pressure or quality chances thanks to solid team defense across the board in this one. DiPietro was solid, but did not have to be great and steal the game, but as always he has virtually no margin for error. The setup to Satan and his rush to the net was perfect, twice he dropped the shoulder this season and both times the goaltenders were beaten. Hard to blame anyone for Ovechin's goal because he's a star player and knew where the screen was. Park was a one man wrecking crew on his goal but one Cap did hit another with the stick and Kolzig for some reason had five hole wide open. Islanders need to build on this Wednesday. Caps website: Has the early preview of tonight's game. Islanders website: Should have something later. Washington is coming off a loss at Montreal but before that went to Detroit and lost in a shootout Monday, beat the Bolts, Rangers and Devils between losing 5-3 against Buffalo. Kolzig has been struggling and under a little pressure but is a quality goaltender, Washington on any given night can put up five goals. Anyone who thinks this is two points in the bank may find themselves disappointed. Should be interesting to see what the merit system produces tonight in terms of lines but a win usually means the same lineup. Long time between games for Bryan Berard now. Bergeron cannot be very happy with this either, especially if Sutton plays after another whiff led to a goal. Islanders have to get something from Guerin, Comrie and Sillinger or they need a repeat performance from their fourth line with a lot more from Satan, Vasicek and Hunter's line or expect the Isles to play for the low scoring game. If pattern goes like last time Dubie could start but I'm doubtful that will happen because no one is talking about it and they did not respond for Dubie against Atlanta. Freddy Meyer kicked the puck that led to the rush for Hunter's goal for those who watched closely. We'll see what happens tonight, but with Ottawa looming on the road and the Devils, Islanders need this game. Ted's Take: Caps owner Ted Leonsis has a hockey blog and reprints the local ratings which Sports Business Daily and the Islanders website reported here yesterday. Good blog by the Caps owner, worth checking out. Here is the link to the full sports business daily article which may or may not work for everyone here which include the versus ratings Mr Leonsis and the Islanders did not provide which is understandable given the update is Caps or Islander centric. Through 22 games, the NHL on Versus is averaging a 0.3 HH rating, up from a 0.2 HH rating through the same number of games last season. Versus is also seeing gains in viewers (up 24%), as well as with men 18-34 (up 1%), 18-49 (up 27%), and 25-54 (up 43%). The most-viewed game this far this season has been the Flyers-Penguins matchup on December 11, which earned a 0.5 national HH rating and 445,096 viewers. That game was also the net's most-watched NHL regular-season telecast ever. The following presents ratings for NHL games on Versus through 22 games, with comparisons to the same point last season (THE DAILY). RSN RATINGS FOR NHL TEAMS IN U.S.
Ratings for the Hurricanes, Predators, Sabres, Bruins and Avalanche were not available. Call me cynical but until I know the New York numbers are provided by Nielsen to these publications and not Barry Watkins in the P.R department at Msg like the earlier update I'm not sold on these numbers. Msg no doubt was embarassed by poor local hockey ratings for the Rangers and the teams they own broadcast rights too (not the Sabres) so this all seems like another p.r spin campaign by the garden to their sources in the media business. I also want the FSN-2 numbers which is where many Islander and Devil games appear. The other markets numbers do seem in line. New York Times.com: Richard Sandomir's update back in October of 1998 as far as I am concerned best represents what Msg owning the Islanders television right's until 2030 means. Newsday: Greg Logan has comments from Ted Nolan on how his line changes worked in reverse with the fourth line carrying the club in the third period with Blake Comeau asked about his opportunity here, Andy Hilbert talks about the coach going with the players who play well. Ted wanted a few guys to put a little spark in the lineup ... Whether I'm out there for one shift or 10 shifts, I try to make an impact every shift." Teddy has stressed the last week or so that he's going to go with the guys who play well. We saw a little bit of that in getting a shot on the power play," he said. "Everyone knows you have to come out and play. It doesn't matter who you are." Newsday: Greg Logan has comments from Jarkko Ruutu/Sidney Crosby about Chris Simon. Crosby also calls Brendan Witt one of his toughest opponents. "I don't want to blow the whole thing up," Ruutu said. "It doesn't serve a purpose. Everybody can see it online and on TV and form their own opinion. I don't have a comment on the whole thing. It's in the past. We've just got to move on." "Witt goes out of his way to finish hits," Crosby said. "He wants to establish that physical presence. You have to be aware. If you get caught sleeping for a second, you get hit pretty hard. He's a guy who prides himself on that." All A.P for the Times, Post and Daily News out of Pittsburgh. Pittsburgh Post-Gazette: Dave Molinary prints what Greg Logan did not provide in his game coverage which was Blake Comeau's comments about his first NHL goal. "When I looked at the net, I heard guys yelling, 'Shoot,' and there were bodies there and a lane was open," Comeau said. "I put my head down and tried to shoot it as hard as I could, and it ended up going in." Pittsburgh Post Gazettte: Shelly Anderson asked Penguins coach Michel Terrien and Ted Nolan about Chris Simon's suspension. Pioneer Press: Bruce Brothers article today has Don Lucia's response where he defended his twenty year record. WCHA Commissioner Bruce McLeod blasted Garth Snow for his comments, while Wild Gm Doug Risebrough gave his thoughts on signing college hockey players in season. Athletic director Joe Maturi wondered why Snow did not come out and watch the program before passing judgement. Snow's former college teammate at Maine, Minnesota Wild defenseman Keith Carney defended Snow but did not know the circumstances. What is notable in this article is Mr Brothers comments the Islanders asked Okposo to give up his college eligibility and play a season of junior hockey in Canada this winter before joining their organization. He said no and announced in June he would return to the Gophers. This was not reported last summer. Again I ask the same question? Why couldn't Don Lucia have simply respected Okposo's decision and wished him luck and kept his criticism of the Islanders behind closed doors? This promoted Garth Snow's response which led to all of this which is only going to hurt this kid moving forward. All due respect to Joe Maturi, but it was reported in Greg Logan's blog back on December 2ND here that Garth Snow had intended to visit Kyle Okposo. All due respect to Bruce Brothers but how come he did not include this in his article being that he's getting reaction from the college level and the Minnesota Wild? The entire story should be told from all sides. Washington Times: Corey Masisak has an article on former Islander Viktor Kozlov's frustration over not scoring. Sound Tigers Website: Has the recap of Bridgeport's 2-1 at Hartford Friday night. Ct Post: Michael Fornabaio reports on the Sound Tigers fourth straight win, a 2-1 shootout win at Hartford Friday. Joey MacDonand's had thirty three saves, Jeff Tambellini scored the Sound Tigers lone goal to tie the game with less than two minutes to play and won the shootout with another goal. "I made the save when I had to. It didn't look good for a while. We took some penalties, but we stuck to it, and we got a greasy goal." "We just tried to stay in shooting lanes," Tambellini said. "Joey did a good job. He hadn't played in a couple of nights, and he came in and did a pretty good job." Hartford Courant: Bruce Berlet who's paper has an association with Newsday provided Wolfpack coverage and had a few words from Jeff Tambellini on his goal. "A couple of guys had lost an edge, so I just threw the puck at the net to get it to the front," Tambellini said. Ct Post: Michael Fornabaio's blogs on the Sound Tigers win and includes the " non-concrete rumors " were the Islanders were speaking with Okposo before Simon-Ruutu. Also an ECHL all-star update was given with Trevor Smith, Michael Haley selected and former Islander prospect Ryan O'Marra. Islanders website: Has the recap of the Islanders 4-2 win at Pittsburgh Friday night. "It's been a long time since we had a cushion like that," said head coach Ted Nolan about the two-goal lead the Islanders generated in the third period. "It was nice to have that lead and be conformable on the bench. It was great to see Andy and Comeau get big goals for us. It doesn't matter where they come from. We got a good effort from the guys tonight." "Blake Comeau and Tim Jackman made nice plays," said Hilbert about his third goal of the season. "I don't know if it found the back of the net but it went in. Comeau is wise beyond his age, and a great player to play with." Islanders needed two points here any way possible and got them, that's the bottom line here and at the end of the night the scoreboard had four goals listed for New York. Comeau, Jackman and Hilbert were the Islanders best line all night. I'm glad Ted Nolan stuck to his merit system and had Comeau and Hilbert on the ice at the end of the four minute powerplay where that give and go with Comeau was his best play of the night, not his goal. The transition on Hilbert's goal was perfect, Comeau's skill to thread the puck to Jackman who made a perfect feed to Hilbert bought him time for his shot. Satan's line made a nice play in the opening minute that got them a goal from a high quality area. The transition goal from Hunter right after Comeau's was outstanding and what this team should be doing every game. Nice rush will skilled chances and a shot Sabourin had no chance on. Pittsburgh looked a little tired in the third but for the most part easily contained the Islanders for the better part of two periods which is an old story given the lack of speed on this roster. They take too long to get into position on offense. DiPietro did his job and for the most part so did the pk, who could have folded after Bergenheim's selfish elbow and arguing penalty. I'm glad Nolan stuck with him because as usual he was one of the most noticeable Islanders in terms of hard work. Instead of looking at the downside which there was a lot of as usual, for this game I prefer to just talk about the win. Tonight the fourth line won the game for them and it was very impressive. Hopefully it's the start of something, that was one nice shot by Comeau.